Phuket has more than to offer aside from its famous beaches. Away from the busy streets and crowded beaches are viewpoints that will make you appreciate the beauty of Phuket even more. Phuket has landscape views that would make you think that as if the view was taken right out of an image. The most interesting part here is, you don’t have to trek to make your way up – you will only need wheels. If you want to know more about these places to visit in Phuket, continue reading our travel guide as we jot down the top viewpoints in Phuket that you don’t need to trek. 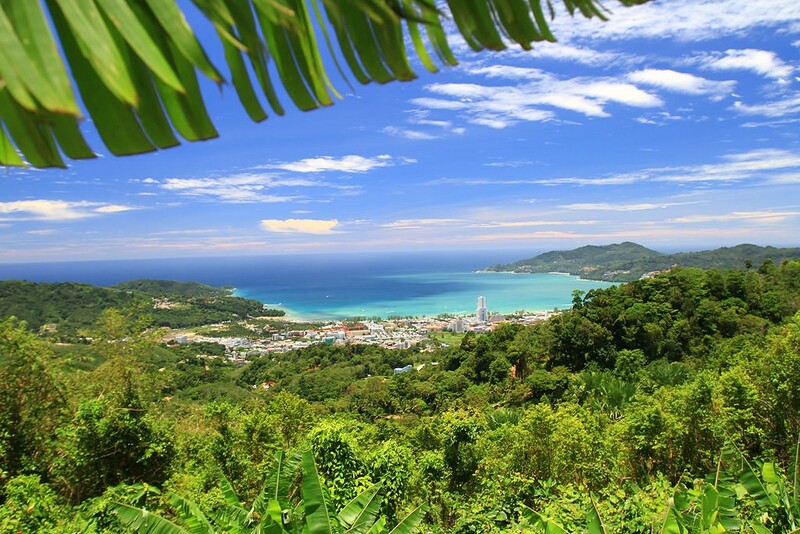 Karon Viewpoint, formerly known as ‘Kata Viewpoint’ is considered as one of the most famous and visited viewpoints in Phuket. 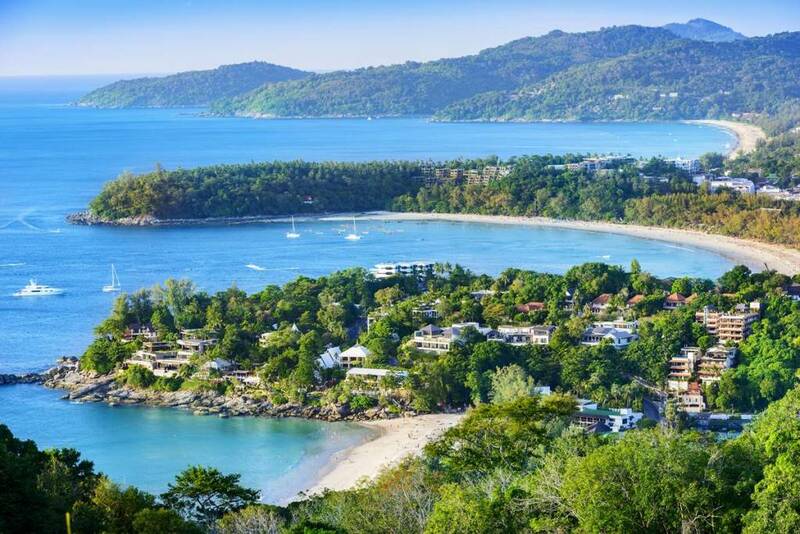 It is really famous because when you search for images of Phuket, different images of the viewpoint will appear. Its Thai name is ‘Kh Sam Haad’ which means ‘Hill of the Three Beaches’. 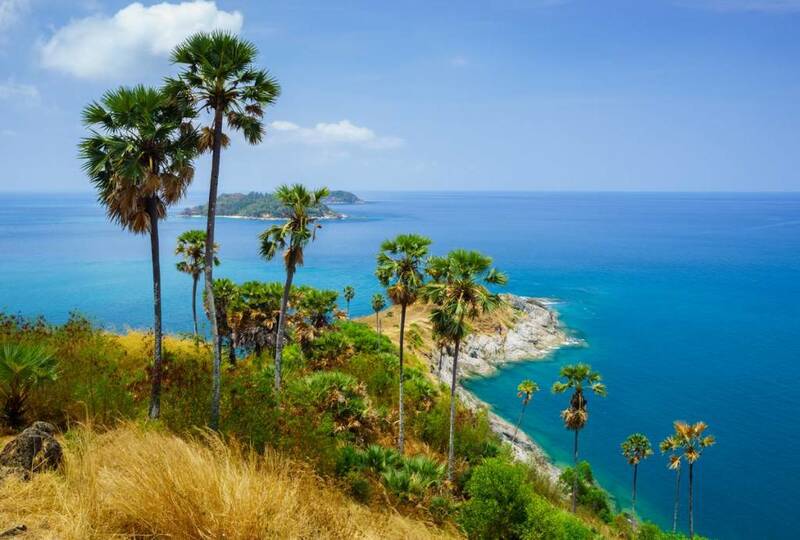 Mainly because at the peak of it, a breathtaking outlook of three of the most beaches namely Kata Noi, Kata Yai, and Karon can be seen. There’s a huge space for parking but when it’s crowded, visitors may park on the roadside. In case you get hungry and want to rest, there are stalls selling snacks and drinks along with the gazebo. If you want a magnificent view of the sunset, the most suggested viewpoint to visit is the Promthep Cape. 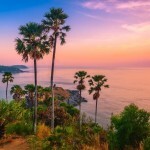 Considered as one of the places to visit in Phuket, flock of tourists would go up the hill just to watch the most beautiful sunset to be seen in Phuket. Aside from the amazing sunset, there is also an Elephant Shrine representing the Buddhist teaching’s wisdom and strength. Promthep Cape also has a lighthouse that has a stunning view of the islands like Phi Phi Islands, Koh Racha Yai, and Koh Racha Noi. It is recommended to go to the lighthouse during the day while waiting for the sun to go down. For a cityscape view that you won’t regret, Khao Rang Hill has the best to offer. 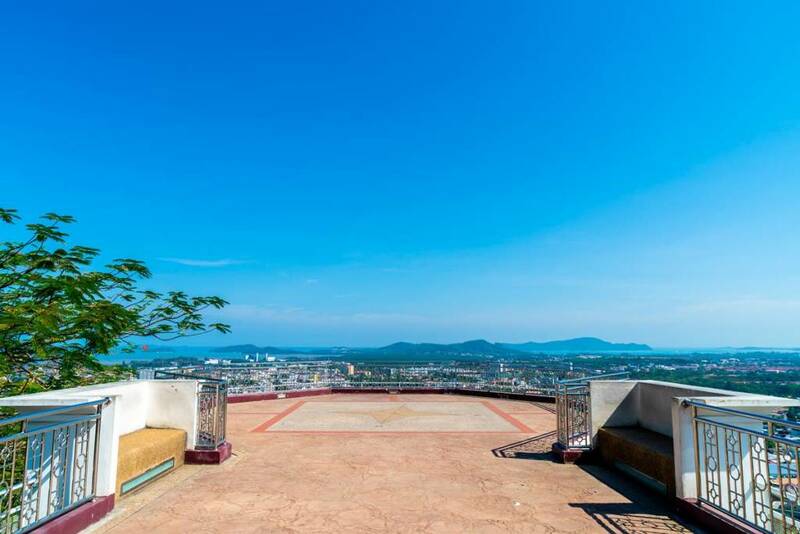 It is situated at the northwest from the center of the city and displays an overview of the whole Phuket Town. An extraordinary view of the neighbouring islands, hills, and the Big Buddha form the ‘spine of the island’ can be seen also. You may enjoy the view while having a lunch and dinner from some of the restaurants that can be found up there making you feel more about your Phuket vacation. 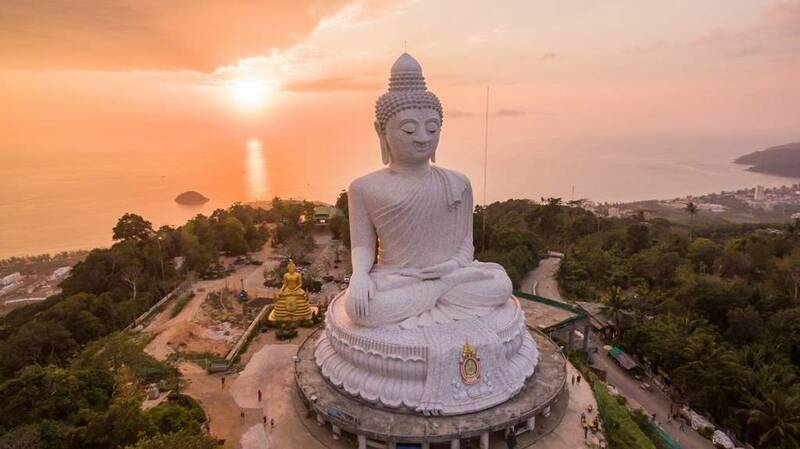 A quick escape to a quiet place away from the hustle and bustle of the Phuket Town is at the viewpoint of the Big Buddha, built in 2004. Standing 45 meters tall on the top of Nakkerd Hills, the Big Buddha can be really seen from afar. It is one of the places to visit in Phuket because the atmosphere is very peaceful – only hearing the bells and a soft music on the background. Aside from the 360-degree view of the island, it is easy to access which makes it as one of the best Thailand tourist places. The second to the highest summit on the whole island standing 529 mete above sea level is Radar Hill Viewpoint. Among other viewpoints, this is the least visited. Located high above Patong City, the weather station is military owned, therefore you should respect any rules and don’t take pictures of the station and its gates. This viewpoint is quite hard to reach because some of the roads are steep but once you get to the top, all the efforts would pay off. Make sure to not only feed up your gas tank but also your stomach as you take the road up there. It is also advised to check the Phuket weather first before going up because it is better to see the view during a clear and sunny day. Seeing a perspective from above is sometimes good because it makes you see how beautiful a place is especially when it is for free. Having a Thailand holiday is worth it when visiting Phuket. 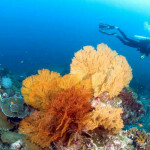 Its beauty lies from the ocean floor up to the summit of the hills. What are you waiting for? Start packing up and book a flight. Check direct flight and flight booking offers in Bangkok Airways for you to see the beautiful Thailand tourist places with your own eyes.